Sharing today, a 5-minutes magic sauce which is way more than just burrito sauce! 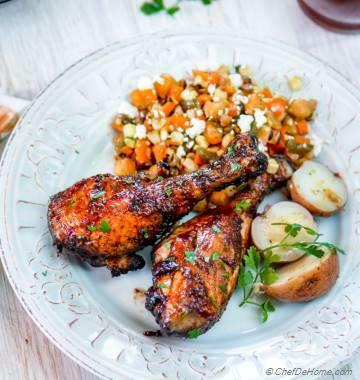 With flavorful chipotle en adobo, earthy cumin and oregano, and healthy touch of non-fat yogurt... this sauce is my go-to condiment on a lot of fresh summer foods. 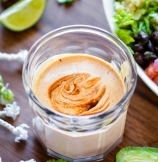 Today I'm calling is a burrito sauce... though I often serve it as dipping sauce for sweet potato fries, top on veggie burgers, and even as a creamy dressing for fresh greens salads! if I'm lucky to save this sauce from burrito or salads, I even slather some in homemade sandwiches! I don't call it a "magic sauce" for nothing! So, I today thought, I should share this recipe with you. 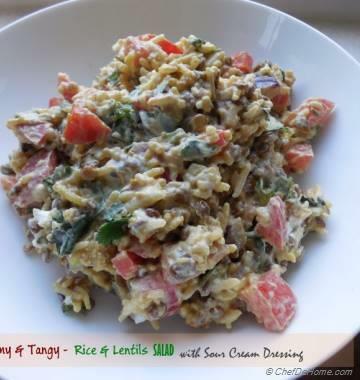 I love such simple and quick recipes which can be used multiple ways. Like most of my salad vinaigrette recipes, I often use for marinating meats/chickens as well. So do you?! aww.. I though I'm the only genius here ;) lol! On a serious note, really that's what home cooking is all about... Making most of the time and food in-hand! Isn't it? 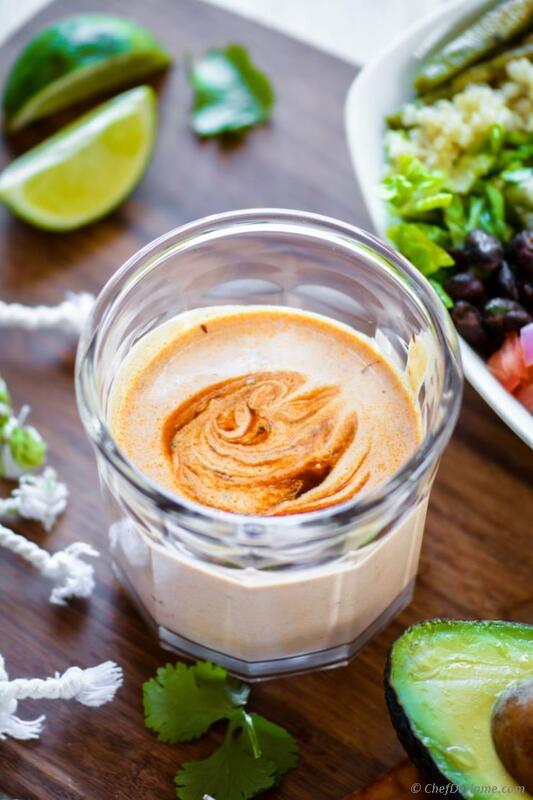 This Chipotle Burrito Sauce is also such a powerful blend of ingredients which can add flavor to anything which needs some creaminess, tang, spice and flavor! Plus, it comes together in just 5 minutes. I don't even need a blender to mix it!! Sauce ingredients are easy to find. If you are Spanish flavor fan, I bet you will have staple Mexican spices - cumin and oregano in your pantry right now! Just getting a can of chipotle, yogurt and sour cream and you are good to serve delicious burritos with homemade burrito sauce!! Why Chipotle in Burrito Sauce?! 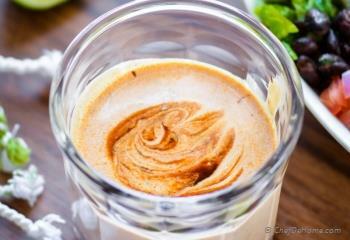 Chipotle adobo sauce on it's own is a very flavorful condiment. It has smoked jalapenos (the secret behind smokey flavor), vinegar, and lots of spices in adobo liquid. I always have few jars of adobo in my pantry. You know because Everything tastes batter when has kick of chipotle!! For my love of Mexican/Spanish flavors.. specially chilies.. I mostly down on my knees when I get to enjoy anything dressed in smokey chipotle or poblano chilies sauces. To keep sauce lite and healthier, I always use combination of sour cream and non-fat Greek yogurt. 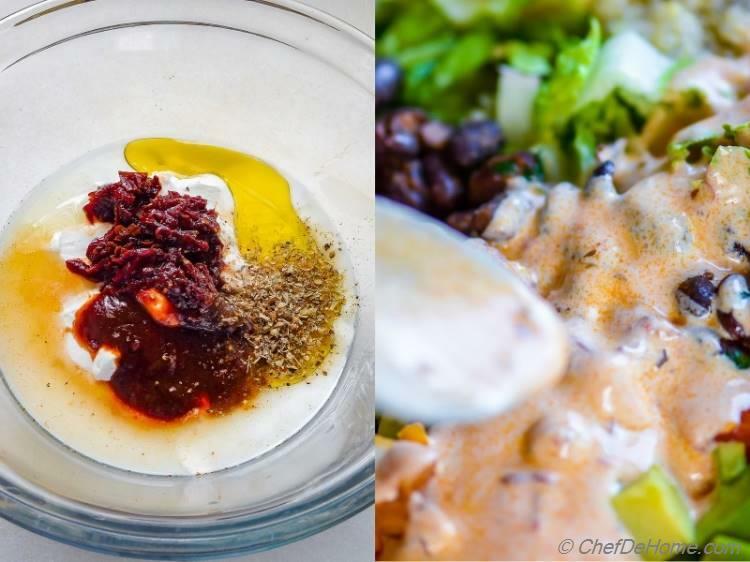 In my kitchen, Greek yogurt is perfect replacement for lot of fatty-creamy-dressings... Cooling nature of yogurt balances the spicy-hot chili of dressings. 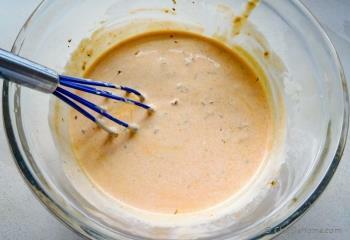 It also enhances the creamy texture of sauce, and gives sauce some body and tangy taste. Above all, health bacteria of yogurt sauce helps keep gut-healthy! As I always say Happy Gut = Happy Immune System! 1. 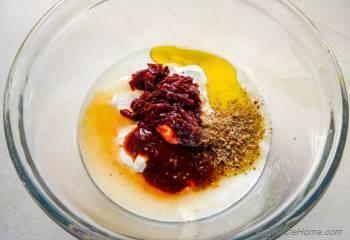 In bowl, add all the ingredients - minced chipotle, yogurt, sour cream, oregano, cumin, olive oil, and lemon juice. If yogurt makes sauce too thick, I add a few tbsp water to get consistency right. 2. Whisk well, taste and add salt as needed. 3. Refrigerate in tight-lid container until ready to use. You can make sauce up to three days ahead. I make a big batch over weekend and use for weekday breakfast. Sauce also goes great as dipping sauce with homemade sweet potato fries, or topped on veggie burgers, even as a creamy and spicy salad dressing! yumm! I don't understand the first ingredient. Is it 1 can of chipotle peppers or 1 pepper with some of the sauce from the can? Please help this sounds delicious. Also, ever marinate chicken with is? Thanks. Hi Jeremy, it is 1 pepper. Thanks for pointing out. I also updated in ingredients list to be more specific. To answer your other question, I've never tried to use it in marinade. Now I wonder why not! Actually it will be very good marinade. Specially if planning to bake the chicken afterwards. I hope it helps. The best burrito sauce ever! Like you said, I also served it with potato wedges yesterday. :) This will be my go-to recipe now on. thanks. Hi Julia, I'm glad you enjoyed burrito sauce. Ditto! 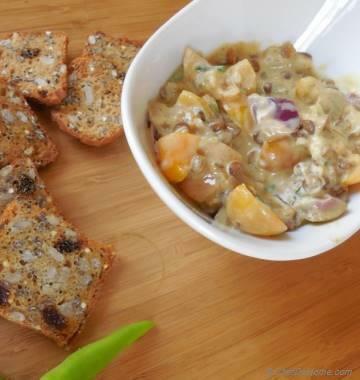 baked potato and veggie stick are our favorite too to serve with leftover sauce.